When Jake was born, I was really lucky to receive lots of presents and gifts from friends and family members. 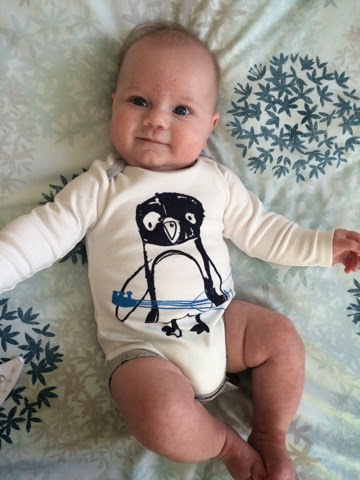 One of those gifts was a gorgeous pack of Mamas & Papas long-sleeved body suits in size 3-6 months from the lovely Scarlett, who was actually my sisters friend (but we have always been friendly ourselves). I loved them immediately, and couldn't wait until Jake was big enough to wear them. 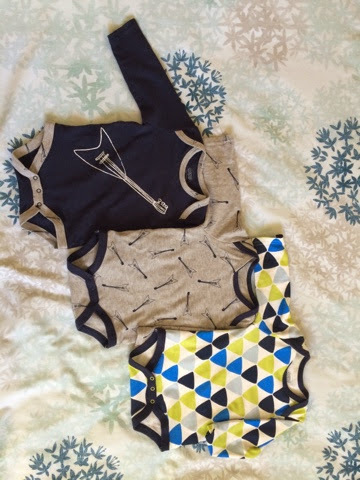 Now, fitting snugly in size 3-6 month clothing, I have had time to try these gorgeous bodysuits out... And I love them! 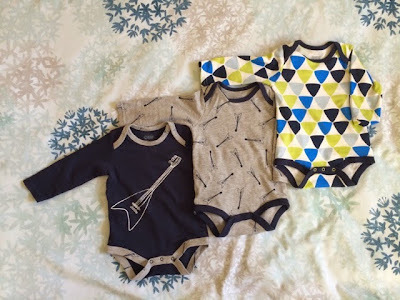 Trendy, funky designs for a boy without being stereotypical e.g. No tractors! Since receiving these I have bought a few more items of clothing from Mamas and Papas to wear now and to grow in to. Fantastic! small car boot! Love them. I do love the quality on mama's & papas. They always feel so soft and yet they last and wash well! Never bought Mamas & Papas clothing because I find them expensive but these look cute even though I never put long sleeve vests on Matthew. Thank you. Like you I find it expensive and, after having these as a gift, I bought two more things (1 to wear for best and one to grow into).